Imagine walking out to a serene outdoor retreat, with a pool filled with sparkling blue water…….. Now imagine having it without having to lift a finger…….. At S & R Pool & Spa, our professionals do the hard work for you when it comes to pool maintenance. Customers know that we worry about the proper balance of chemicals, the pump operation, and the cleanliness of the pool so you don’t have to. All you need to do is sit back, relax, and enjoy the benefits!!!! As a local company, we have spent nearly three decades delivering quality pool maintenance. 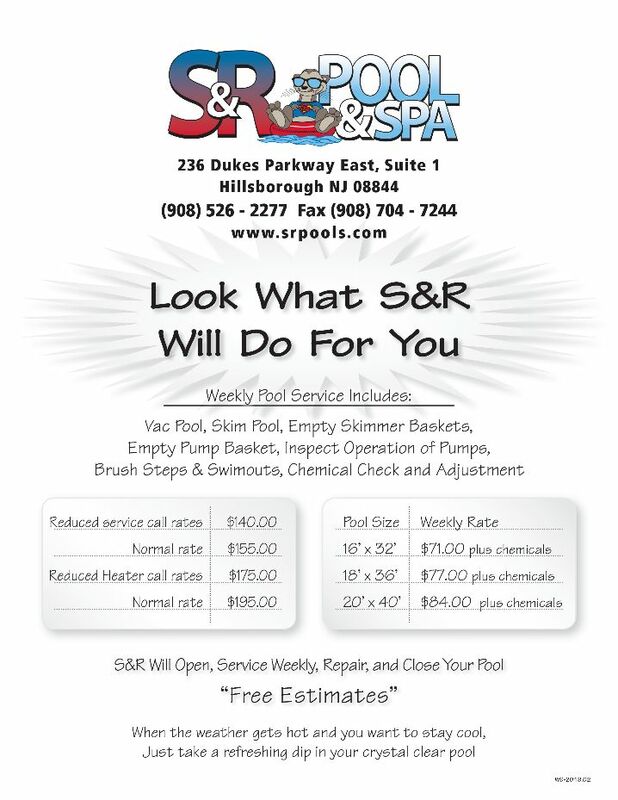 S & R Pools & Spa doesn’t offer any better service than the customer-focused attention you’ll receive from our company. Our loyal customers have known this for years. Now it’s time for you to see why our services are sought after regularly. Why wait? You work hard and deserve the hassle-free use of your pool without the inconvenience of cumbersome pool maintenance. Our pool services don’t get any better than this. Call now for more information or to receive a free estimate. Contact us today. Swim hassle-free tomorrow. It’s that simple. Pick up the phone now.